With its year-round sunshine, and stunning scenery, above and below the water, the Red Sea Riviera has long been a holiday favourite for sunbathing and a world class diving destination. The area around Hurghada is home to some of Egypt's most popular resorts, from thriving Hurghada City to peaceful Makadi Bay and the picturesque lagoon resort of El Gouna. This is a great disabled holiday spot for any wheelchair user looking to explore. Set amidst tropical palms, guests can spend lazy days out on the resorts private beach and sample snacks from Marina Bar, while those looking for an alternative to the beach can make use of the inviting swimming pools. The Iberotel Makadi Beach 5-star holiday resort lies in the city of Madinat Makadi adjacent to the long sandy beach of Makadi Bay. The impressive attractions of the region include the marvels of the ancient world and much more. A 4* All Inclusive resort ideally suited for families, friends and couples. Boasting a magnificent position directly along Makadi Bay, this is the ideal backdrop for a holiday in Egypt. Directly positioned along Makadi Bay, just 250m from the private beach within the Makadi resort complex. This property is a 5-minute walk from the beach. 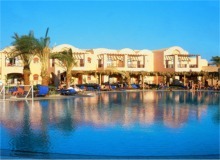 This hotel is situated in Hurghada and is a 10-minute drive from Hurghada International Airport. Rooms at the Albatros Aqua Park Resort are spacious and include modern furnishings. They come equipped with a TV and minibar. Some rooms have balconies with views of the garden or pools.